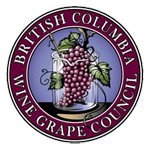 Please complete the Nomination Form below if you are interested in being part of the BC Wine Grape Council Board of Directors. As a BCWGC Director you will have the opportunity to participate in committees that help shape the future of the BC wine industry through valuable technology, research and education projects. We are actively seeking individuals who are available and eager to be part of the evolution of our industry from both the grower and wine making perspective. 2. The names of those attending.